Therefore, please change the information in your records and send all future communications to our new address. After a year of development PHH is now Accredited for the provision of Asbestos Bulk Analysis. We plan on expanding our analytical services for other occupational health and safety, indoor air quaility and other scientific testing services over the next few years. We provide in house analysis as well as capable of receiving external samples. 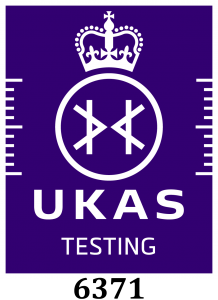 We are now able to provide commercial and domestic legionella assessments. Feel free to contact us for more information. PHH are offering exclusive discounts on our services, can you find the page? PHH are offering free Health and Safety audits of your business premises. Let us help you meet and exceed your legal duties on a wide range of Health and Safety issues. We have moved our offices to a larger premises in light of recent growth in our business. We have also welcomed a new member to the PHH family.... PHH Carpentry and Joinery. www.phhcarpentryandjoinery.phhenv.co.uk. We welcome any comments on whether you like it or not. We plan on making new additions over the next few months too so watch this space! !